Airplane travel may be commonplace these days,but myths and rumors abound about modern flight. 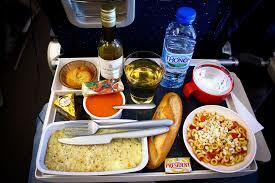 2 pilots are served different meals and cannot share, this is done in case of food poisoning.Stealing food, even if they are going to throw it out can get you fired instantly. You can ask your supervisor, but you cannot take food. They don t want people messing with it .